Brandon F. Sischo has been promoted to Master at Arms Chief Petty Officer, surface warfare, aviation warfare. Brandon is a 2003 graduate of Cedar Springs High School. He joined the Navy in Sept. 2004. After recruit training he attended Master at Arms School in San Antonio, Texas. He was then assigned to NAS JRB Willow Grove, Penn. 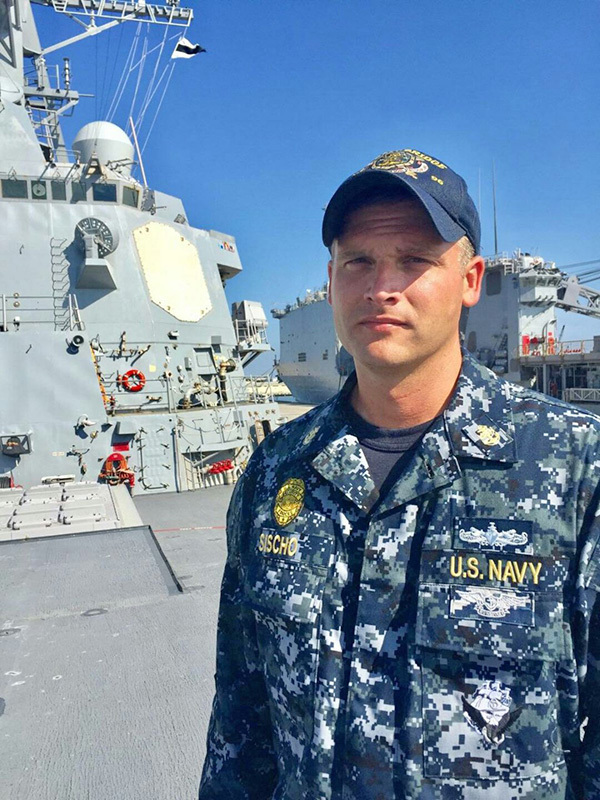 In 2008, he served on the USS Theodore Roosevelt (CVN71) where he deployed to the Arabian Gulf. During this tour he attended Naval Corrections Officer and Anti-terrorism training. In 2012, he transferred to Supreme Allied Commander Transformation Command at NSA Hampton Roads, Virginia, where he was leading Petty Officer of Anti-Terrorism and Physical Security Depts. Currently Brandon is serving on the USS Bainbridge (DDG96), where he just attended his pinning ceremony for Master at Arms, Chief Petty Officer. He resides in Virginia Beach with his family. Brandon is the son of Glenn and Tammy Sischo, of Gowen. 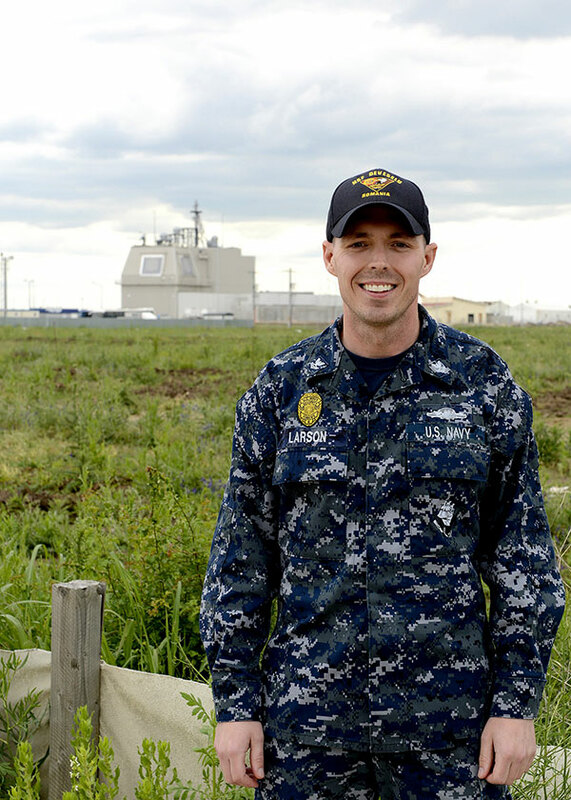 Master-at-Arms 2nd Class Seth Daniel Larson, from Sparta, Michigan, recently completed an assignment at Naval Support Facility Deveselu, Romania. 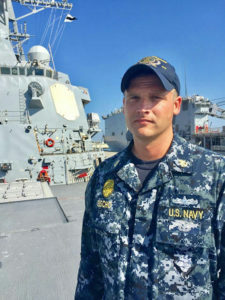 Larson, a 2004 graduate of Sparta High School and the son of Mike and Rhea Richardson of Sparta, served as part of the security force for the new installation, which was established in October 2014. He has served in the Navy for nine years. NSF Deveselu is home to an Aegis Ashore Missile Defense System tenant command. Aegis Ashore is a land-based version of the Aegis Ballistic Missile Defense (BMD) System currently deployed on U.S. Navy ships, but deploys the SM-3 missile only. Larson also attended Central Texas College. His home duty station is Naval Station Everett, Washington. NSF Deveselu is located in south-central Romania in Olt County, near the city of Caracal. When completed, about 200 U.S. military, government employees and contractors will work at the base.